What is a Saltwater Refugium? - The Ultimate guide to using a refugium. Blog What is a Saltwater Refugium? - The Ultimate guide to using a refugium. What is a Saltwater Refugium? – The Ultimate guide to using a refugium. Have you heard of a saltwater refugium before? Don’t worry if you haven’t, it’s a specialist piece of saltwater kit that most beginners won’t have ever heard or thought of but they are definitely worth looking at for a number of reasons. In this post, we will go through all the pros and cons of using a saltwater refugium and give you all the information you’ll need to see is a saltwater refugium will give you any benefits for your tank. In our opinion, they are certainly worth looking at if you have a reasonable size tank to warrant installing one. Keeping saltwater fish is all about water quality and a refugium can serve a few purposes. But what is a refugium, how do you use one and what will it do for your tank. These are all questions we will answer further in this post. 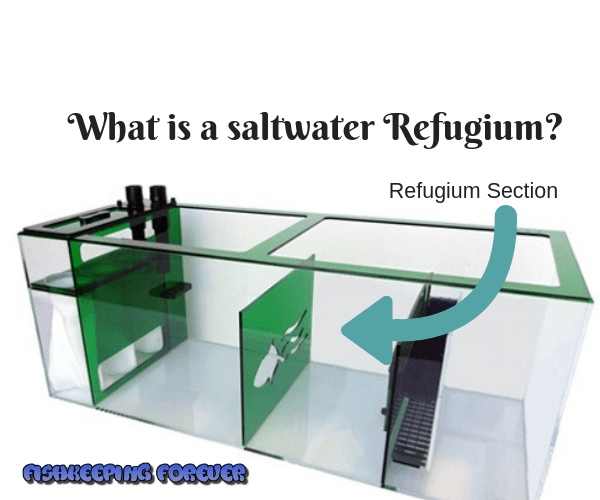 Let’s answer the first question: What is a saltwater refugium? A saltwater refugium is a biological filtration method which will reduce nitrate and phosphate in your aquarium water. They also provide a natural food source for your aquarium inhabitants. It consists of a separate compartment where marine macroalgae can grow and thrive and absorb Nitrate and Phosphates. Within this compartment, you can grow micro-organisms like copepods which will act as a great food source for your fish. Saltwater refugiums normally come in two forms, one that hangs on the side of your tank as a separate unit and another that is built into the sump tank underneath your aquariums. Either will dramatically reduce harmful Nitrates and Phosphates within your aquarium. Which types of refugium are best? The type of refugium you use will depend on the size of your aquarium and the space you have available to install one. All three type has benefits and have a specific design purpose. Many smaller aquariums like nano reef tanks use hang on refugiums, where larger tanks will need a much bigger refugium, usually one that is combined within a sump tank filtration unit. Alongside refugiums are often used in specialist aquariums and also a favorite amongst freshwater fish keepers. In all three types of refugiums water passes through the refugium and through macroalgae and other forms of substrates like refugium mud and bio-blocks. All will help remove harmful Nitrates, phosphates and carbon dioxide. Another benefit of using a refugium is an increase in overall water volume for your tank which sometimes can add 20-30% more volume to your tank enabling you to have a more diverse and fuller aquarium. Refugiums work in two ways. Firstly micro-crustaceans contained and growing within the refugium such as copepods and amphipods will feed upon uneaten food and debris. As a result water quality is maintained in the most natural way possible. The micro-crustaceans also provide a valuable and natural food source for your fish and increase the biodiversity for you saltwater marine system. This is great news for fussy feeders like Filefish, Black Bandit Angelfish and other fussy eaters. Secondly, macroalgae, usually of the Caulerpa genus, is grown inside the refugium which naturally reduces the amount of nitrates and phosphates and also helps to stabilize the pH levels. A suitable light is used to grow the macroalgae and if used at opposite times of the day to your main aquarium lights can help increase oxygen levels throughout the night. This will reduce any large change in pH levels when the main aquarium light is switched off. Ie: When your main aquarium light is switched off, the refugium light comes on. Another benefit of using a refugium is that it keeps the phosphate and nitrate levels low, which is very important not only for the wellbeing of your aquarium inhabitants but also because it helps reduce the growth of ugly algae in the display aquarium. The reduction in Nitrates and Phosphates and reduction in unwanted algae is the number one reason most people install a saltwater refugium. 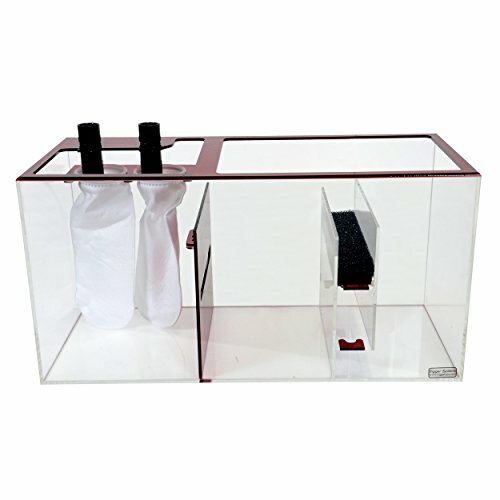 What size of refugium will you need? The size of the refugium will deter how effective the system is in your aquarium. A very small hang on refugium system will have little effect on a larger saltwater reef tank but might work fine in a smaller Nano Reef Tank. Other factors will need to be considered like the amount of nitrates you want to remove and also the amount of space you have to set one up. This is often the overriding factor why most people either have one or they don’t. Cost also plays its part. Saltwater fishkeeping is an expensive hobby and a refugium is just another cost that you’ll pay for each month. Replacing the macroalgae every so often is costly and topping up the copepods within the refugium will need to be done if you have a lot of fish in your aquarium that eat them. Often the fish will eat them as they filter through the system naturally. They will then need to be replaced to ensure the ecosystems work correctly. The type and power output of the light used to grow the algae is another contributing factor to the size of refugium you’ll need. Macroalgae is just like any living plant species in the fact that it utilizes the light that is shined on it and the phosphate, nitrate, and carbon dioxide in the water to grow and produce oxygen through photosynthesis period. The better the light source the better the algae will grow and perform. How expensive are refugiums to buy and run? The cost of buying and setting up a saltwater tank is constantly rising but adding a refugium won’t cost you much more to run. The main expense of running a refugium is the lighting, macroalgae and topping up the copepods every now and then. Using a refugium will reduce the need for water changes, and I return will reduce the cost of running a refugium by using less salt in water changes? There is also the time factor to consider, fewer waters changes will free up more of your valuable time. Will installing a refugium stop the need to do water changes? No, even running a top of the range refugium doesn’t mean you can stop doing water changes altogether. How frequently you do them though can be dramatically reduced. Routine water changes help stabilize the overall chemistry of the aquatic system and dilute out the unwanted build-up of algae-promoting nutrients. They help replace the natural minerals that are lost in your aquarium over time. However, installing an efficient refugium can reduce the need for partial water changes by up to 75%. Always ensure when doing a partial water change that you use RO-DI water. What is RODI Water? It stands for Reverse Osmosis And Deionization. RO-DI water is water that has been filtered and purified to remove harmful unnatural elements like copper that find their way into your tap water through old copper pipes etc. These are things that should not make their way into your aquarium as they’re not found naturally in reefs and oceans. 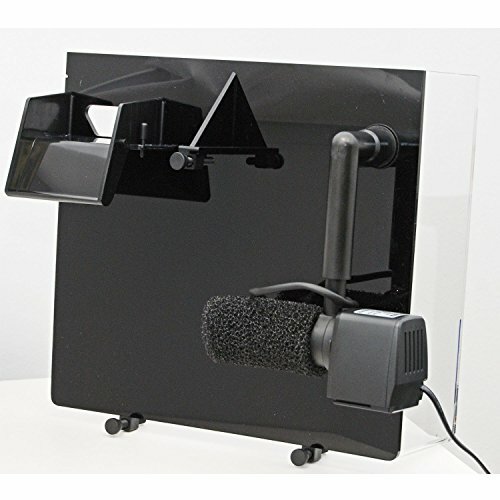 We use the Aquatic Life 4 Stage RO/DI unit which we purchased from Amazon. Don’t be tempted to use tap water, you’ll regret it in the end. Using tap water will promote unwanted algae growth as algae feed on Nitrates & Phosphates found in tap water. Using RO-DI water will help control unwanted algae. You should always use RO-DI water in every partial water change and ensure you test it before adding. You’re looking for a reading of ZERO ppm ( Parts Per Million ) Use an electronic TDS tester like the Lxuemlu Tester available from Amazon, cheap and simple to use. Where should You install a saltwater refugium? The majority of saltwater refugium are housed under the main aquarium sump tank. Any compartment can be used as a refugium but normally they are found after the first filter chamber usually after the protein skimmer. Ensure a nice constant flow of water passes through the refugium chamber. The water then passes through another filter chamber that removes any loose algae and then pumped back into the main aquarium. For smaller aquariums or aquariums without any room to house a sump tank underneath then use a smaller hang on or side mounted refugium. These simply hang on the back or side of the tank and offer some benefits although they are not as effective as the build in sump tank refugium. Simply do to the amount of bio-material that can be used and the smaller amount of macroalgae that is grown. They will still remove a substantial amount of unwanted nitrates and Phosphates so should never be ruled out on size alone. What are the benefits of using a refugium? Nitrates and Phosphates are bad for your aquarium for a number of reasons. Phosphates promote the proliferation of brown algae in the tissue of corals, masking the natural color pigments of the corals and causing the coral to turn brown. In reef systems, even a minor level of nitrate can cause damage as well as death to delicate corals, anemones, and other invertebrates, as well as some crustaceans. The acceptable range of nitrate for reef tanks is 0.20-0.25 ppm, but not more than 4-5 ppm. Rule of thumb is aim to have the lowest nitrate levels possible. Nitrate is the waste product of nitrifying bacteria (Nitrobacter), which develops in the final phase of the nitrogen cycling process and in high levels can be dangerous to aquatic life. Hence the reason all aquariums need some form of filtration to remove nitrates. How quiet are refugiums to run? This will depend on the equipment you use to run the refugium water supply. The refugium itself isn’t noisy, its just a soft flow of water through a chamber where you have bio-material, macroalgae and copepods living. The better quality pump you use the quieter it will be. The quietest we found was the Aqueon Quietflow Submersible pump suitable for saltwater and freshwater. 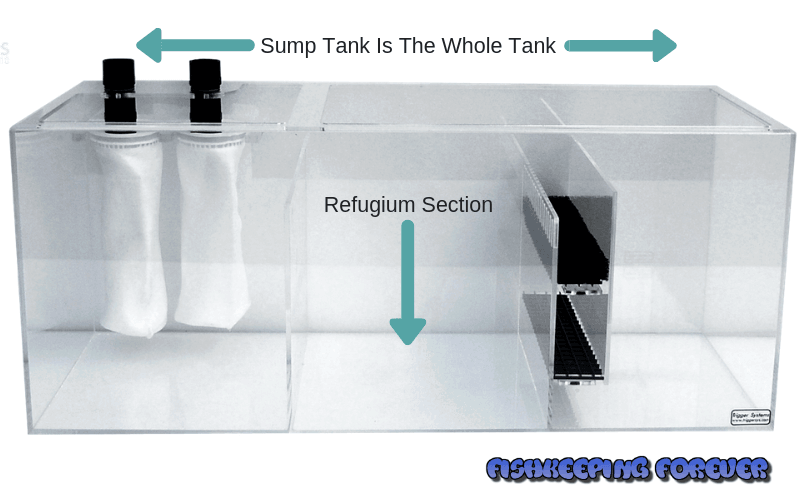 What’s the difference between a sump and a refugium? A sump is the whole sump tank underneath your aquarium and the refugium is just a section within the sump tanks. What substrate should you use in a refugium? Long thought to be the best form of material/substrate for your refugium is refugium mud or sand as it also helps to restore trace elements and offers a place for micro-organisms to breed and grow. The fine grain size and dense nature of the mud create nitrate reducing anaerobic zones when using 2-3″ of depth in the refugium section. On top of the refugium mud add bio-block or rubble rocks which have a large porous surface and help cultivate an environment that helps reduce Nitrates and Phosphates and encourages the micro-organisms to grow and live happily. The last thing you’ll need to add is macroalgae, copepods, and phytoplankton all will help the refugium work well and reduce the high levels of Nitrates and Phosphates. 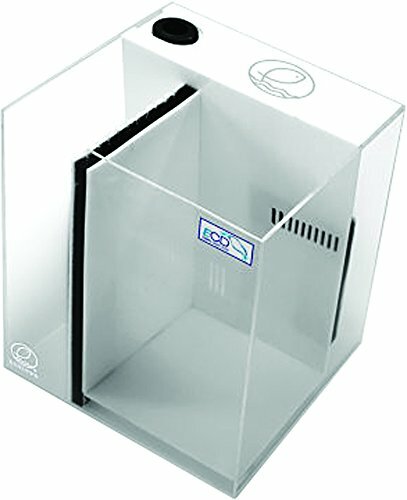 Why do I need a light for my refugium and which one is best? You’ll need a light above the refugium to help grow the macroalgae which is the main part of the refugium that removes the harmful Nitrates and Phosphates. You will need to run the lights counter to the main tank. That means during the day the when the main tank lights come on the refugium lights are off. Then, when the main tank lights go off the refugium light comes on. This will help to balance the levels of pH within the tank throughout the day and night. Low Kelvin bulbs are just fine for growing macroalgae which you can buy very cheaply from most lighting stores. If you want to use one of the latest lighting sources which run more efficiently and effectively then we recommend NANO LED ASTRA clip-on lights. Add this light to a timmer for best optimization and ensure it comes on and off opposite to the main tank lights. This one comes with its own remote control for easy operation. When the lights go out on the main aquarium there is normally a slight pH drop throughout the hours of darkness. If the refugium is lit throughout these hours of darkness then the pH drop may be countered. Macro algae will only remove nutrients when it is actively growing and for this to happen it needs the correct type of light source. The best light source to use is lighting which is correct for the growth of plants – this is normally in the lower end of the Kelvin scale. 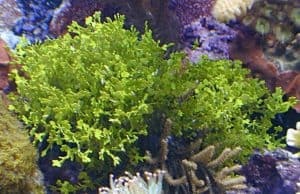 What’re the best macroalgae to use in a saltwater refugium? We have published a full review of the Best Types of Macro Algae For A Refugium for you to read. 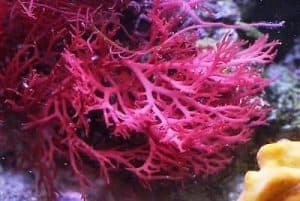 In this review, we will look at the three most popular types of macroalgae used in a saltwater refugium. Halimeda: The Hawaiian Halimeda plant usually comes as a small ball about the size of a baseball. This species is grown in the pristine waters of the Hawaiian Islands and is much larger and fuller than specimens available from the Atlantic or Caribbean. It uses calcium to build a support structure within its blades. Halimeda is one of the hardier and slower growing of the macroalgae. Chaetomorpha: Chaetomorpha Algae, commonly know as Spaghetti Algae, make the perfect macroalgae for refugiums. Each cell grows end to end, creating long, stiff strands forming filamentous clumps which look like balls of fishing line. 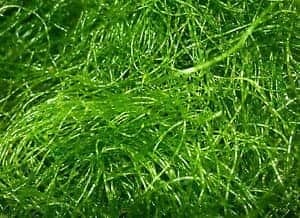 Chaetomorpha is a fast-growing and very hardy which provides excellent natural filtration, absorbing harmful nitrate and phosphate from your saltwater. Use Chaetomorpha within your refugium section and it will provide a great habitat for microfaunae such as copepods and amphipods to live. To increase the amount of nutrients these algae can handle provide high lighting, and ensuring high water flow. Dragon’s Tongue: Dragon’s Tongue is a really popular choice for refugiums. Dragons Tongue is pretty fragile and kind of looks like pieces of gelatin. Dragon’s tongue has reddish-orange blades, kind of like smaller pieces of grass, except of course it is not green. Dragons Tongue isn’t the prettiest looking macro algae but it does a good job at exporting nutrients. The downside to Dragon’s Tongue is that it grows fairly slowly, thus taking a while to get established, plus it is also fairly expensive. Our WHAT TO PUT IN A REFUGIUM-BEST MACROALGAE GUIDE may help you choose the right macroalgae for your needs. It’s a must read if you’re looking for the perfect macroalgae for your refugium. Macroalgae is broken down into 3 parts, the red macros (the most diverse), the brown macros, and the green macros. As a general rule, the green macro is better at filtration than the others, as it tends to grow faster than the others. How and why should you grow copepods in a refugium? Keeping Micro-organisms in the refugium like copepods has a couple of benefits. The fish are happy because they get a fresh supply of nutritious food to eat as the copepods flow through the sump tank and into the main aquarium. Secondly, the micro-organisms burrow into the substrate and live on the rocks and help create a natural ecosystem which helps balance the water quality and pH levels. If you have picky eaters, like Green Mandarin Dragonets, a refugium is a great place to acclimate them to their new home. It offers them a place to eat plenty of food and relax without competition from other fish in the same water qualities they will find in the main tank. A week or Two in the refugium should be long enough, and then you can put them in the main tank. 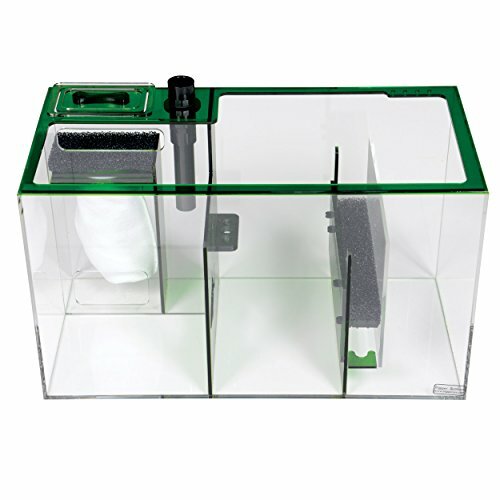 Here are a few good refugium systems we found on Amazon. Dimensions: 13.25" x 4.75" x 12.00"
In the UK we use Livealgae.co.uk they offer a wide variety of quality Macro Algae at very reasonable prices. They also off a starter pack which is perfect for the beginner. In the USA you have many options Aquariumdepot.com offer one of the best range of aquatic supplies online including macroalgae. But one of our personal favorites places to shop for Macroalgae is Algaebarn.com they offer everything you’ll need to start your refugium off on the right foot. Everything from Copepods, Macroalgae, and equipment. Refugiums are not just for saltwater they can also be used for freshwater and even garden ponds. In fact, they are not even new, they have been around for years. They have simply been brought to life within the saltwater/marine fish scene in recent years and even been advanced with new technology. 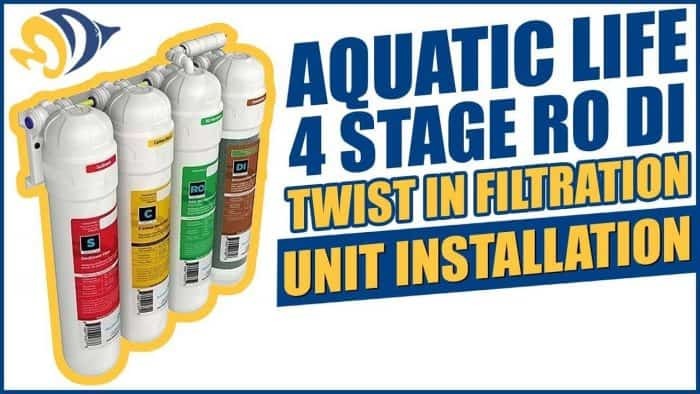 The all in one system like the ones above have made it easier and more effective to use one in a home aquarium. Let us know if you use one and if you do, what type do you use and why. We’d love to hear from you. If you love saltwater fish you may like to read our Top 15 Nano Reef Tank Fish list or our Saltwater Fish For Beginners both make interesting reads. Thanks for reading – What is a Saltwater Refugium? – The ultimate guide to using a refugium we hope you found it helpful.